I'm interested in getting the nameless axleback exhaust, but I have a question about the effects it will have on the aerodynamics the car. The stock muffler was designed to decrease lift in the rear of the car. Will replacing this muffler cause the bumper to act as a mini parachute, increasing the coefficient of drag, or worsening the handling characteristics of the car. Not in any noticeable fashion no. 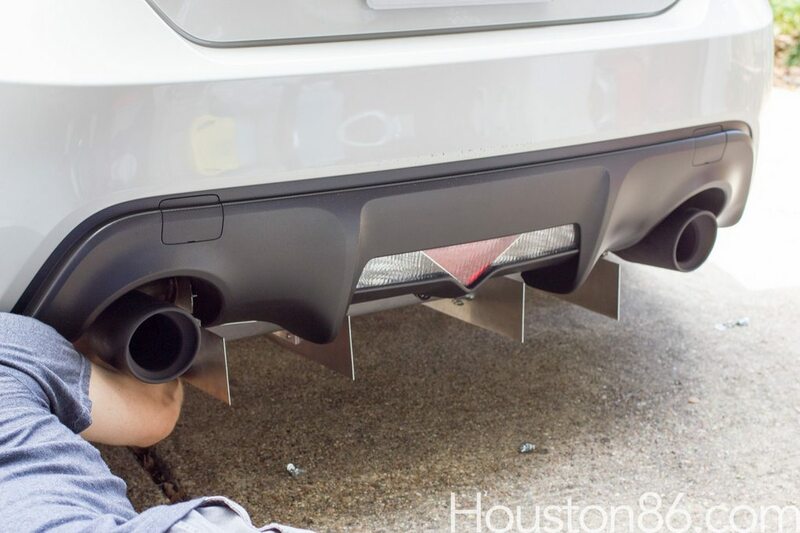 Has anyone made a diffuser plate for a non-suitcase style muffler. Pics? Would you notice it in a wind tunnel test? Probably. Would you be able to tell a difference in the real world? Probably not. A Guy Made A Custom Diffuser..I'm Not Sure If It Helps Aerodynamics, But It Looks Like It.